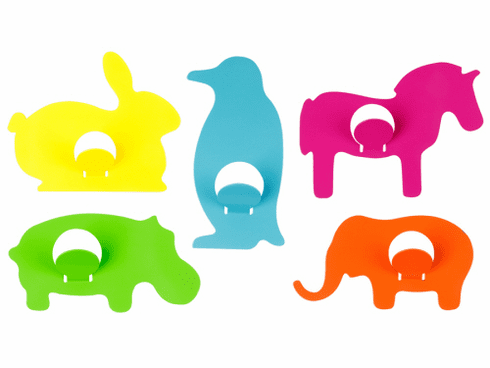 Fun animal coat hooks, now there's no excuse for not hanging the coat up. Great for any kids room. The hooks are made of steel. Each hook has an adhesive backing pad. The average size of each animal is 12 x 7cm. IndividuallyÊpackaged in see-through gift box. Assorted styles.